Fish and Fishing in Tanjung Leman: How to choose a fresh fish? How to choose a fresh fish? How to choose a fresh fish? The answer is simple enough. Follow my footstep to be a fisherman and catch the fish yourself. That way you'll be 100% sure it's fresh. Other than that you'll have to learn some background knowledge, acquire some skill and sharpen your senses. Caught fish is the wild fish that normally do not come in the same sizes in the market. It normally taste better than the fish from breeding ponds and cages. In Malaysia, caught fish is much more expensive and will normally be sold to exclusive restaurant or export to other countries like Singapore. Only a small amount will end up in the local wet markets. I found out that some fishing village markets actually sell imported fish while the fishermen sold their local fish out at a different price. Aqua cultured fish or farmed fish will normally be sold in bulk to the lower and mid range seafood restaurant, exported and sold to wet markets. Aqua cultured fish is then further divided into freshwater and saltwater. Some natural saltwater fish can be breed in freshwater. Of course the taste is different. 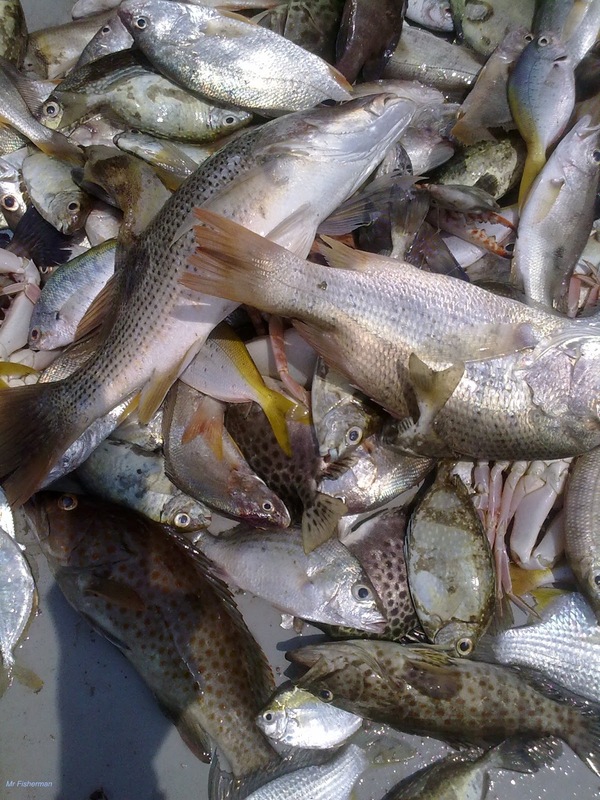 The 2 main categories the fish can be further categorized into how long the fish had been caught or harvested. This can range from days to weeks to months. Hence the terms "local" and "imported" fish come into picture. Local simply means that the fish is harvested locally and normally are being marketed within a few days to at times a week or 2 after the fish is harvested. Imported fish range from weeks onwards to months. Some people just do not believe that some fish are actually harvested months ago before arriving at the market place. But it is true. In Malaysia the deep sea fisherman goes out to sea for as long as a week but in neighboring countries a fishing trip can last as long as three months. 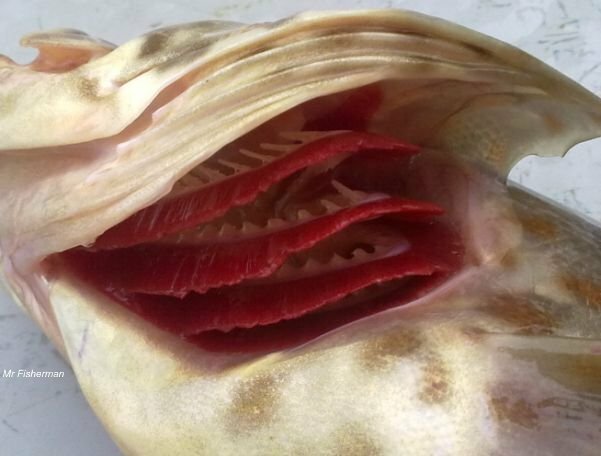 Fish supplier and fish monger that intend to store their fish for a long period of time are using formaldehyde solutions to keep the look of the fish. They usually have to display their fish for days before a buyer can come along. Without the implementation of advanced packaging and freezer, this is the only way for the fish to last in ice packed boxes before being sold out to their customer. Formaldehyde is the simplest member of aldehyde family but a very reactive chemical, where the gaseous form is known as formaldehyde and the liquid form as formalin. Characteristically, formaldehyde is a colorless, strong-smelling, irritating, poisonous and flammable gas (WHO, 2002). Formaldehyde solutions or more commonly known as formalin is a chemical that is widely used as a preservation chemical for human corpse and preserved animal. International Agency for Research on Cancer (IARC) has classified formaldehyde as a Group 1 carcinogenic to humans (2004). According to Malaysian Food Regulations 1985, Regulation 148 and 159 (2006), only smoked fish and meat are permitted to incidentally absorb formaldehyde during processing in a proportion not exceeding 5 µg g-1. 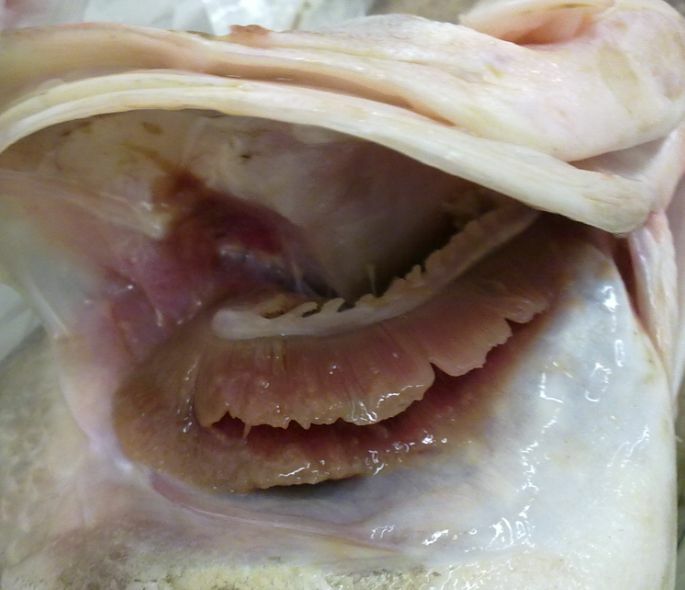 However, for fresh fish, the permitted amount of formaldehyde present in fish is not specified. Eyes: Look for bright, clear eyes that bulge up. 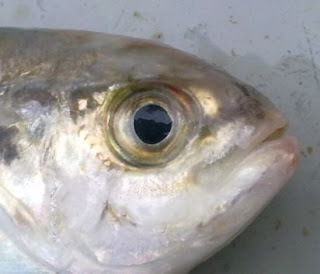 The eyes are the window to a truly fresh fish, over time they fade quickly into gray dullness. 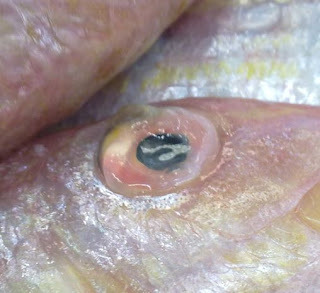 Fresh fish will have their eye fluid bulge up in a spherical shape. Skin: Look at the fish. Does it shine? Does it look metallic? Or has it dulled or has discolored? Fresh fish have a somewhat slimy protective coating that keeps the fish colour rich and bright. The flesh have to be firm. If it fails the 2 criteria above, then don't even bother to go to the next steps. Gills: This is the oldest trick. Opens up the gills. Fresh fish have rich red colour while the old ones are in faded bricks colour. Sticky gills could also indicate excessive use of formaldehyde solutions. Smell: Its arguable to say that fresh fish do not smell at all. Some freshly caught fish does smell quite heavily of mud but look out for pungent dead rat and nauseating chemical smell. Nauseating chemical smell is also an indication of excessive formaldehyde solutions. Taste: Although it's already too late but it will build up your experience in time to choose better the next time round. Fresh fish normally do not taste bitter in the deeper coloured portion and is very tasty. There should be no foul-smell at all although some fish does come with a heavy smell and the meat should be very much intact. Fresh fish will normally come with a much higher price unless the whole market is having a lot of similar type of fish. Don't be surprise to find freshly caught fish to cost as much as 2 to 3 times the market price. Do not fall into the cheap and fresh trap. Logically these two does not happen at the same time, or at least not in this region.